Data from the hard disk can be lost due to several reasons like corruption of the hard disk, hard disk failure, virus infection, abrupt or improper system shutdown, etc. All these reasons make one lose the data permanently. 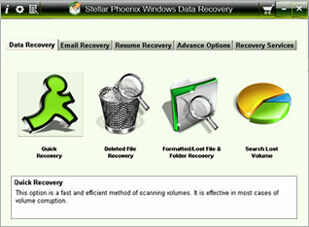 Use the Hard Disk Recovery Software to recover the entire data that has been lost from the hard disk due to any reason. It employs strong scanning algorithms to recover the data. Moreover, it is very easy to use because of its user friendly graphical user interface. It can recover data from western digital hard disk, memory card, formatted hard disk, data lost due to hard disk partitioning, etc. So the next time you lose your important files or any precious images or videos, use the software without wasting any time. Heavy amount of files or data can also be recovered. It can easily recover hard disk files even on reinstalling Windows as well as data from the hard disk of windows operating system. Files stored in the hard disk can be recovered from the NTFS or FAT type as well as missing or lost logical drives can also be recovered. Combs sector of hard disk, memory card to find lost files. Qweas is providing links to Hard Disk Recovery Software 2.0 as a courtesy, and makes no representations regarding Hard Disk Recovery Software or any other applications or any information related thereto. Any questions, complaints or claims regarding this application Hard Disk Recovery Software 2.0 must be directed to the appropriate software vendor. You may click the publisher link of Hard Disk Recovery Software on the top of this page to get more details about the vendor.